Manufacturer & Trader of Natural Rubber Seal. Our product range also comprises of Moulded Rubber Products, Extruded Rubber Parts and Rubber Gasket & Allied Products. We are a company which is well known in the market for the supply and the trading of various types of seals such as the Natural Rubber Seals which have been bought from well known vendors in the market. As a trust worthy organization of this domain, we are committed to offer our clients a superior quality assortment of Natural Rubber Heat Expansion Seals. The offered seals are examined on set quality parameter in order to deliver better range to the clients. Also, this seals is made available in various sizes and shapes. Manufactured from natural rubber, our rubber seals can be used for different applications. We can design these pads to make shapes that can also be die cut as per our clients specifications. With our high quality seals, we serve the automotive, electronics, defense and other industries. 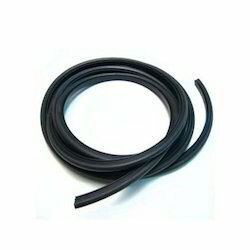 Owing to our expertise in this domain, we are providing Natural Rubber Seal. Offered industrial parts are manufactured with attention by our accomplished professionals using the most favorable quality rubber and the latest machinery. To ensure the higher level of patron satisfaction, we are engaged in offering an extensive range of Rubber Seal. These products are easily used and ensure long service life. 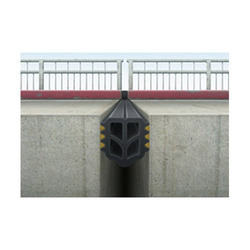 Our products are technically accurate and offer hurdle free performance. In addition to this, we ensure timely delivery of our products as per the needs of the clients. We are the leading manufacturer of this product . It is used for testing in pipes . Super Chemical And Rubber Co.